The goal of cutting your cigars should be to “open” the cigar to create a satisfying draw while also keeping the cigar from unrolling or dismantling. 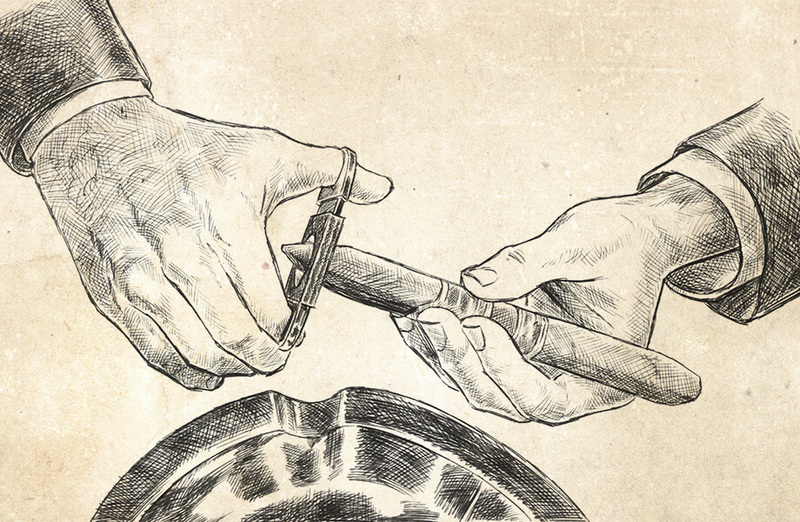 To make sure you are doing a good job of cutting your cigar make sure you always make a cut just above the cap that’s in the head of the cigar. For this, you will need a cutter. There are many kinds of cutters and cuts like a v-cutter from which you can make a v-cut or a “pinhole” cut for which you would use a cigar drill. However what we recommend is that you use a straight or guillotine cut. If you don’t have any of these tools around, then you could use a really sharp knife or blade.The secret is to make one quick chop to avoid damaging the wrapper. The first step to lighting your cigar is to choose a lighter. Easy right? Not so much. The type of light you use can actually affect the flavor or taste of your cigar. 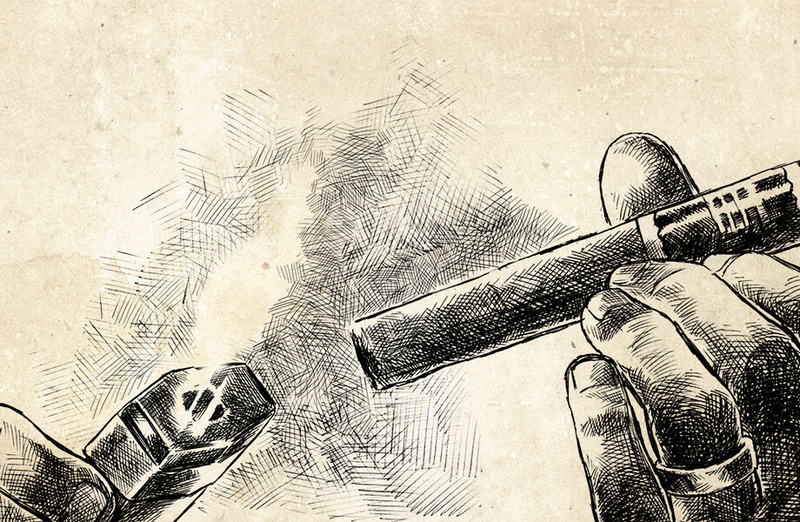 There are three ways to light your cigar, some are said to be better than others, but we’ll show you how to enjoy your smoke no matter what you have on hand. Ideally, you don’t want your lighter to contain any chemical flavors because your cigar will pick them up. To avoid having this issue, we recommend that you use wood matches or a butane (blue flame) lighter. 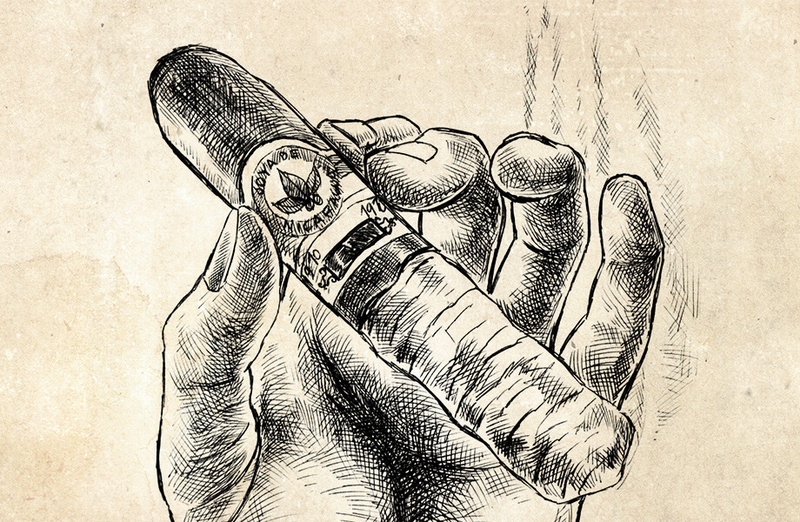 Hold the flame 1-4 to 1-2 inch from the cigar and draw gentle puffs of air. This way, you the flame won’t hit the stick and the heat will be solely responsible for lighting the cigar. Patience is key. If you want to truly smoke like a pro, use a cedar stick. Cedar’s aroma blends well with tobacco and helps it retain moisture. To use cedar to light your cigar simply light a cedar spill and use the flame from the spill to light your cigar. If you only have a regular propane lighter light up your cigar with the heat of the flame, but don’t let it physically touch the cigar. Now that your cigar is lit, you just have to keep one thing in mind: it’s not recommended nor necessary to inhale the smoke. Cigars are meant to be savored and enjoyed at your own pace, so draw in air using slow gentle puffs. 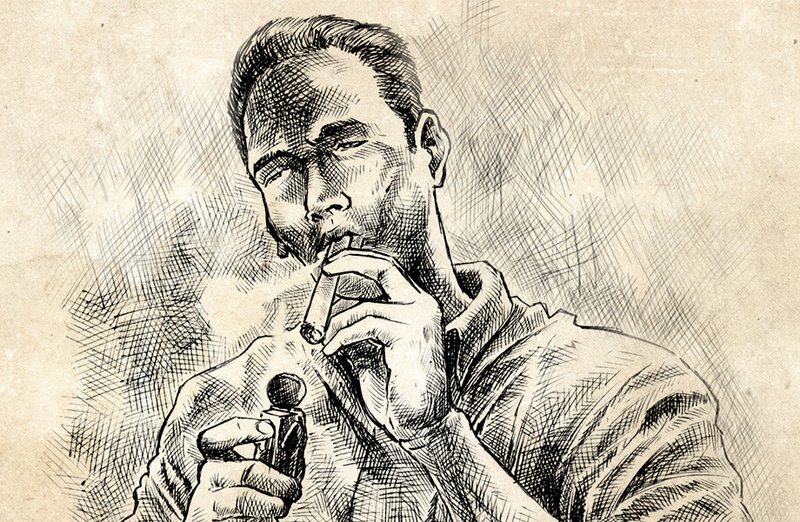 When it comes to smoking cigars, you need to take it easy. If we had to put a number to it, it would be around one puff per minute. If you smoke too fast, you run the risk of overheating your cigar. Once your cigar is running high on heat it will become harder to taste its notes. You can handle your ash however you want. Long ashes, right? 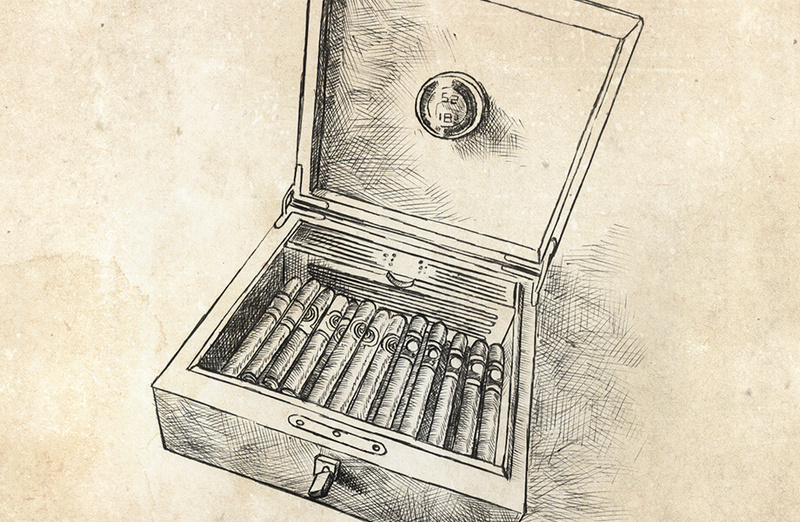 In reality, it all depends on the characteristics of the tobaccos that were used to make the cigars. Our recommendation is that you let the ash stand naturally and if a little bit falls off, feel free to rest it on an ashtray. What happens to the cigar ring? It’s a matter of preference. Who doesn’t want to flaunt the cigar of their choice? However, some people believe that by taking off the ring they risk damaging the wrapper. Should You Save a Cigar You Started for Another Day? Premium hand rolled cigars are made with nothing but tobacco leaves. Therefore, without periodical puffing and air supply, they will eventually go out. 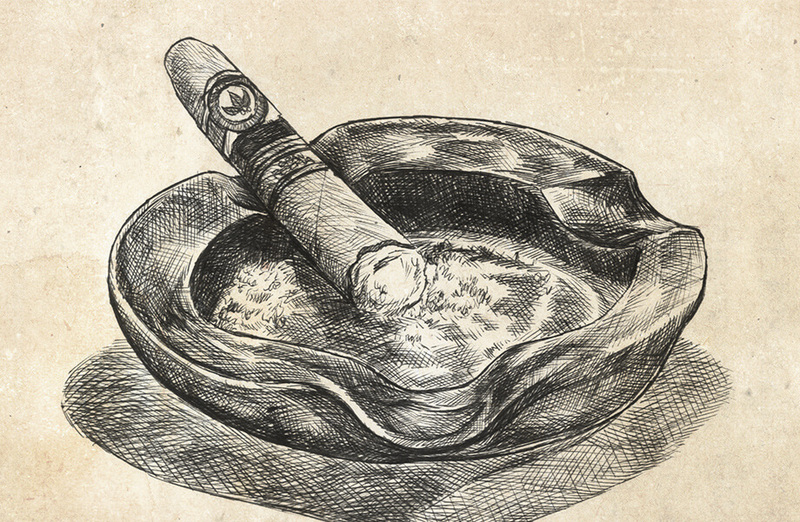 Once a cigar is completely out, we think it’s best to let it be. We don’t recommend saving and relighting a cigar. The reason? its profile will be different from the original heat and having gone cold. 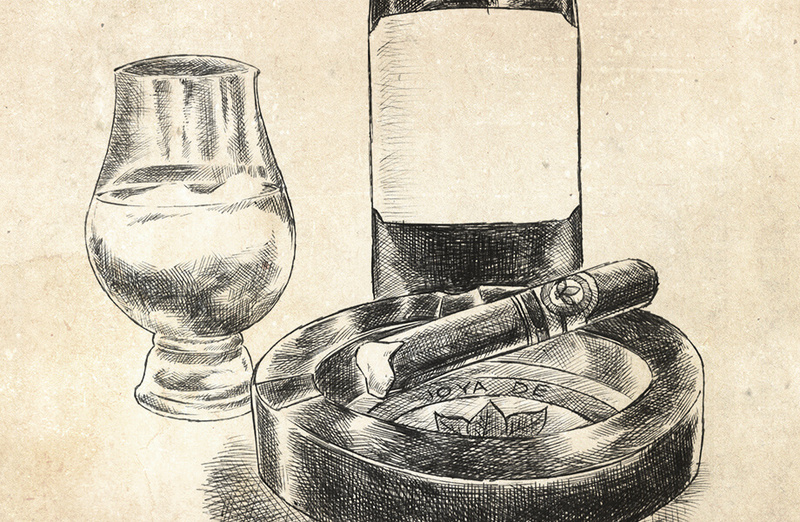 What Should Be Your Cigar Pairing? Traditionally, the only pairing recommended for cigars was hard liquor. However, when it comes to pairing a cigar, you have many options. The best way to put an end to your smoking experience is to let the cigar go out at its own pace. There really isn’t much to it. Remember it’s a cigar, not a cigarette, stubbing-out a cigar can make a mess because its contents can scatter around. So, let your cigar go out on its own, or leave it in an ashtray. At the end of the day, no matter how many “cigar rules” are out there, what matters is that you enjoy your smoking experience. Take these tips into consideration and build your smoking experience to enjoy your cigars, as you please.